Creativity and innovation is the backbone of all great businesses. When people think about creativity they often think about paintings, movies, and sculptors. This, however, is not the only part of creativity. The best thing about creativity is that it extends even to the business sector. Creative people are able to create products and services that people find interesting. The upside about creativity is that it is always linked to innovation. This means that creativity is about looking for new ways. This is about looking for new ways to do things. As a product developer, you will need to be creative if you intend on achieving great success in the field. Some people might ask how you might know you are creative. The answer will be the number of people that actually buy your products. If more people buy your product then it was very creative. One part about creativity is the fact that people get tired of the same thing. Creativity is relevant in e-commerce. 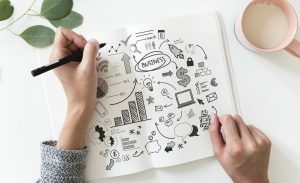 If you want to achieve success with your competitors you need to find creative marketing techniques that will attract new customers. This is necessary for success in e-commerce. Furthermore, you will have to create a unique e-commerce website. There are some services that e-commerce customers might find amazing and unique in e-commerce. This is why you should be creative in e-commerce. Although it seems like everything has been thought of, there is still some stuff that you can create in e-commerce. Marketing is a wide field and new marketing techniques are constantly being invented. As an e-commerce entrepreneur success in this field will determine success in your entire business. This means that you need to create your own e-commerce marketing technique that will draw in more customers.